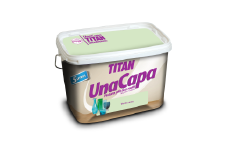 The fight against corrosion and the search for preventive and effective maintenance, together with the right products, are the parameters that TITAN has considered in creating the TITAN INDUSTRIAL line of high technology and quality products. 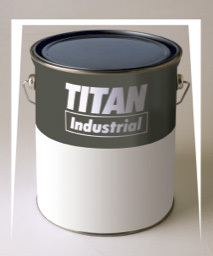 IRON OXIDE EPOXY PRIMER 838. POLYURETHANE ENAMEL 844 SERVICOLOR BASE. Indoors - Outdoors. Satin. White. RUST PREVENTIVE EPOXY PRIMER 831. SERVICOLOR INDUSTRIAL COLOURING PASTES 890. SR RUST PREVENTIVE PRIMER 806.